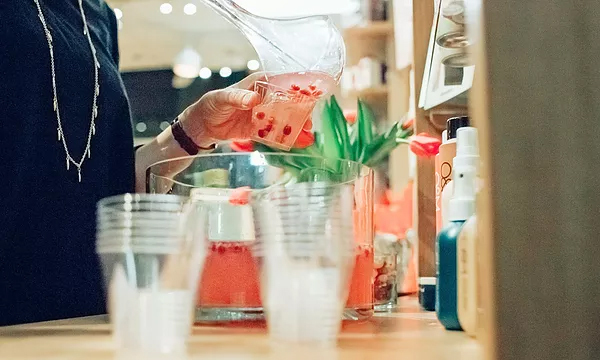 Whether it’s a handful of your best girl friends, co-workers, or 17 fashion-obsessed teenagers, let us host an event everyone will be talking about! You can start your night with us or make it your main event. We can provide the blowouts, beauty services, and drinks and leave it to our party planner to help you with the rest. One thing is for sure your next business meeting, sweet 16, bridal shower, or girls night out: it will be the best-looking and most unique event you’ve ever had! Please see our salon policies regarding group events here. Contact us today to book your reservation now.